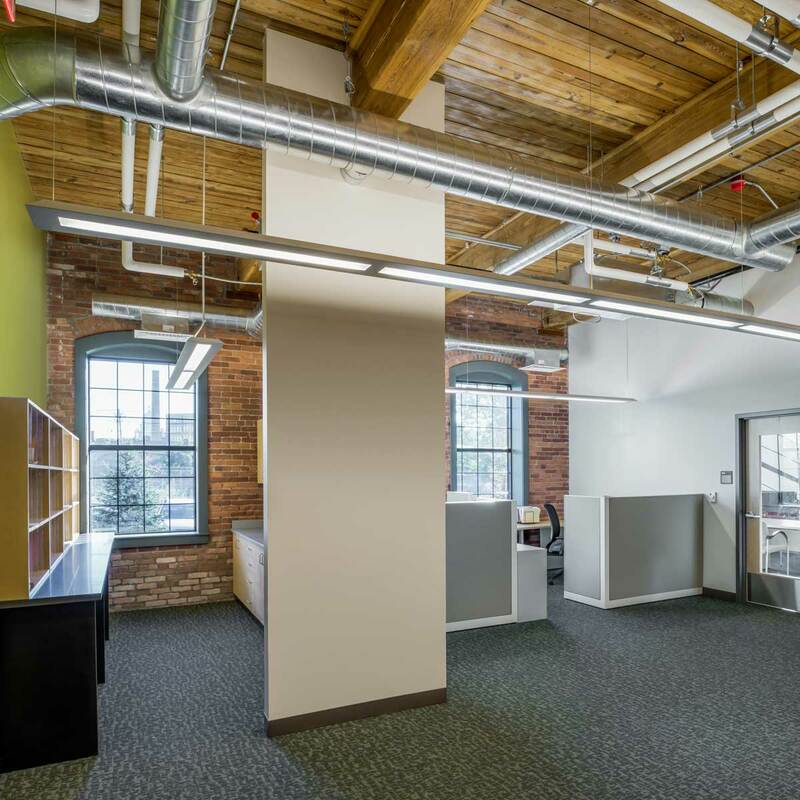 The design of the 23,000 s.f. 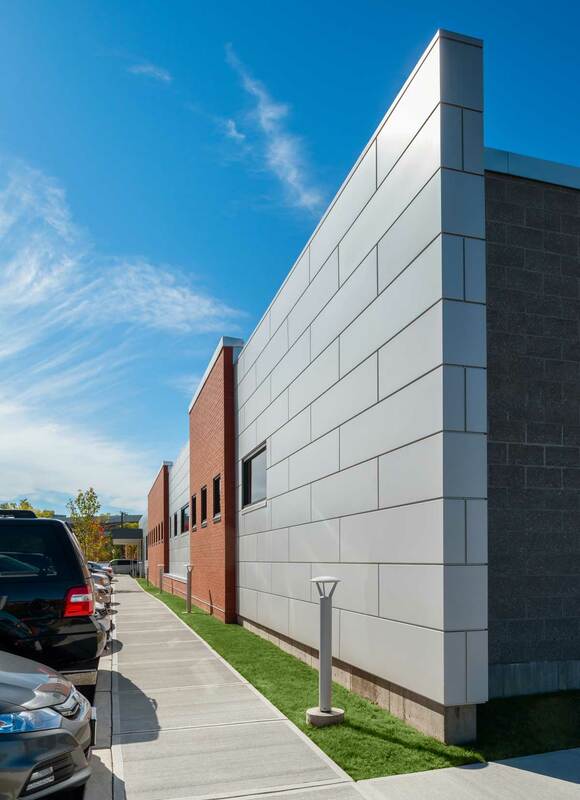 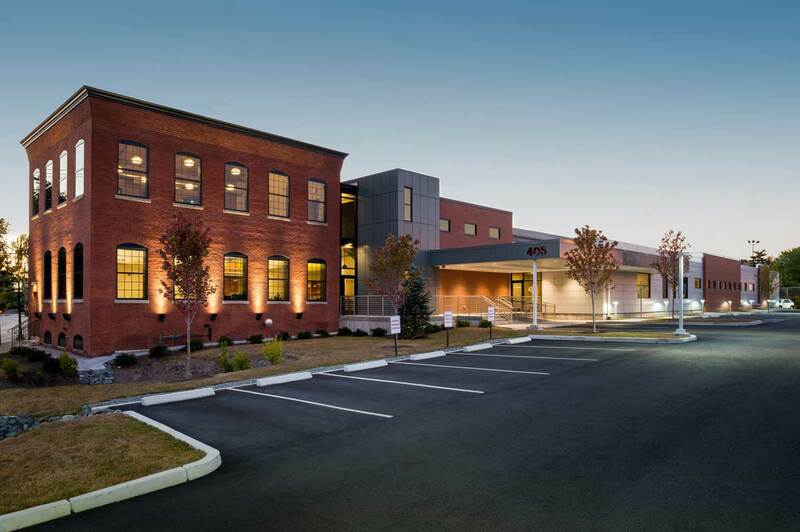 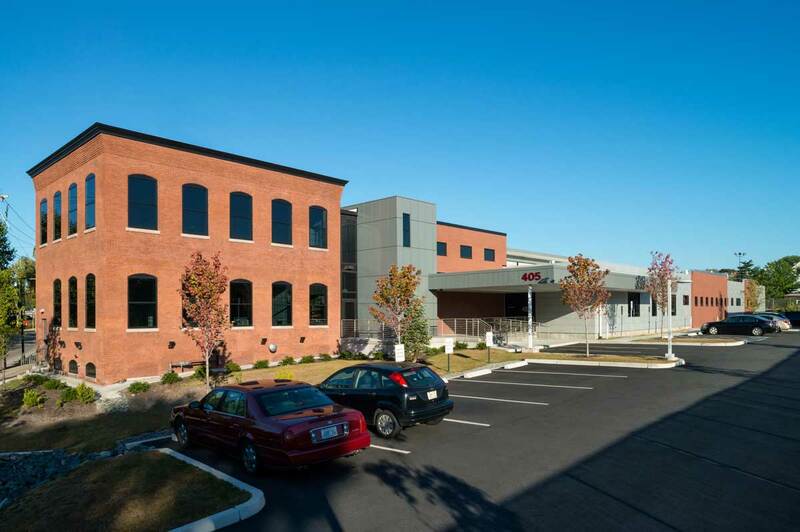 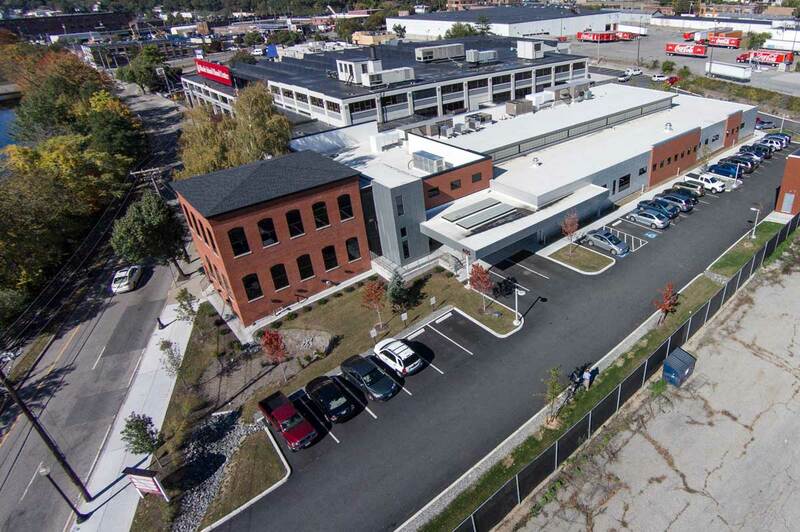 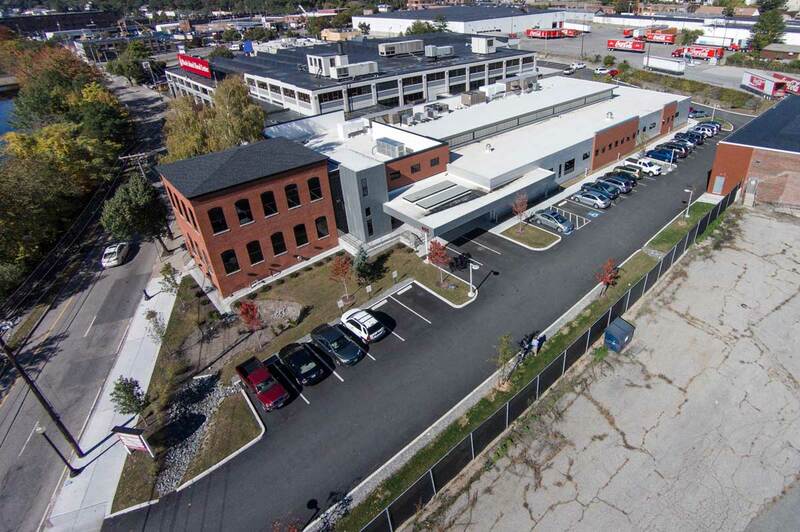 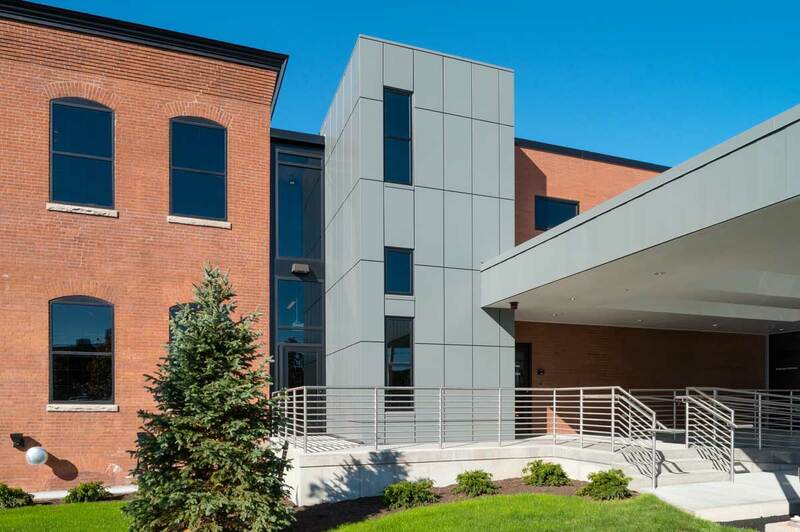 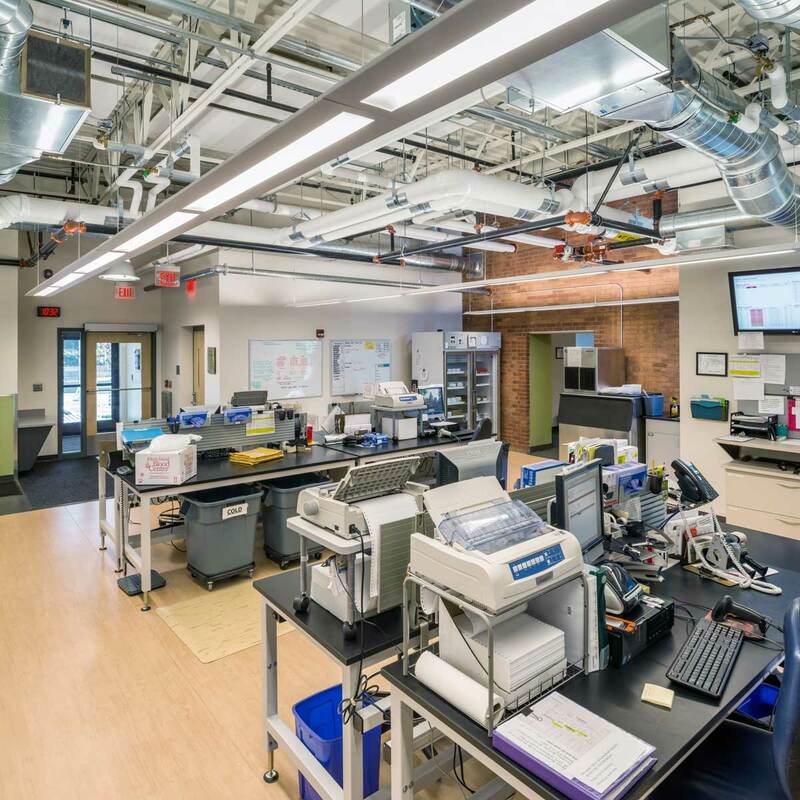 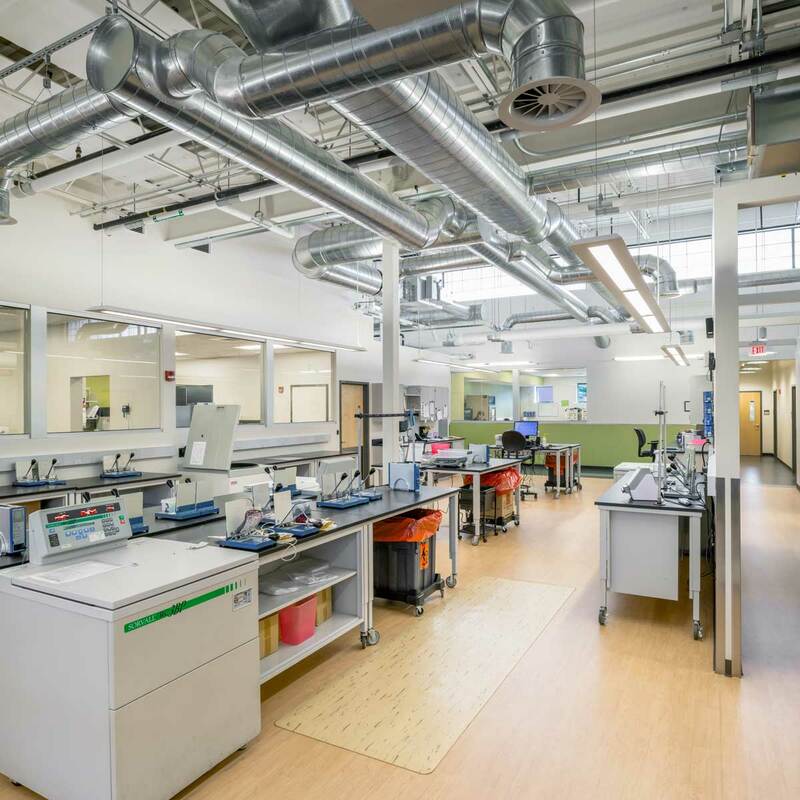 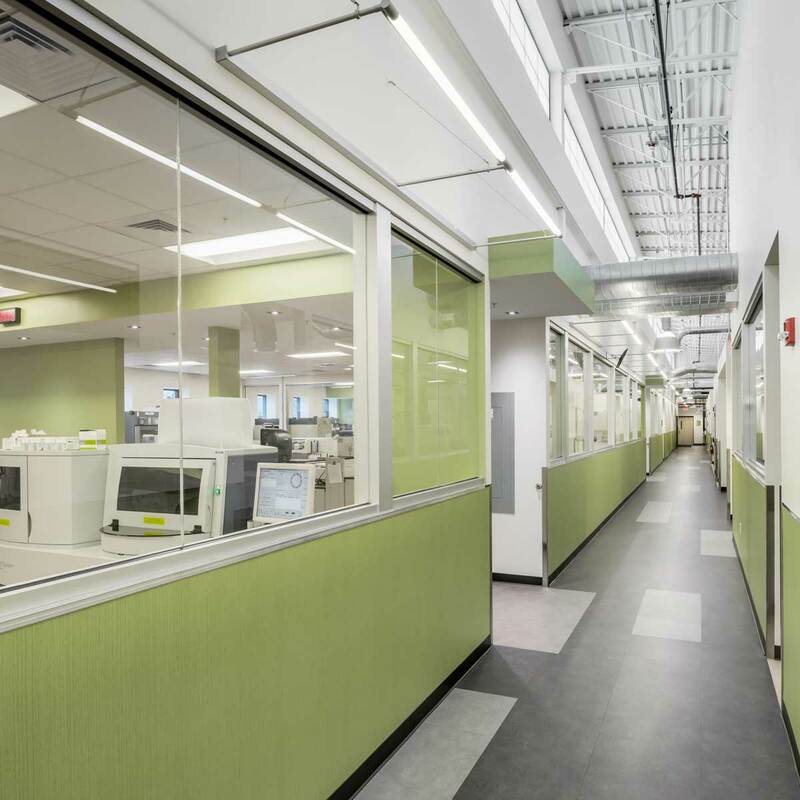 lab building for Rhode Island Blood Center included renovations of a 2,600 s.f. 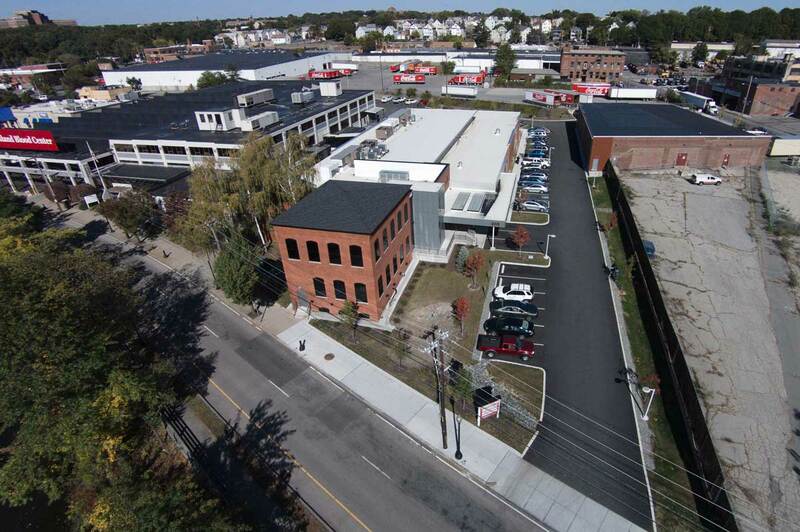 existing historic building at 395 Promenade Street in Providence on property immediately adjacent to their existing headquarters. 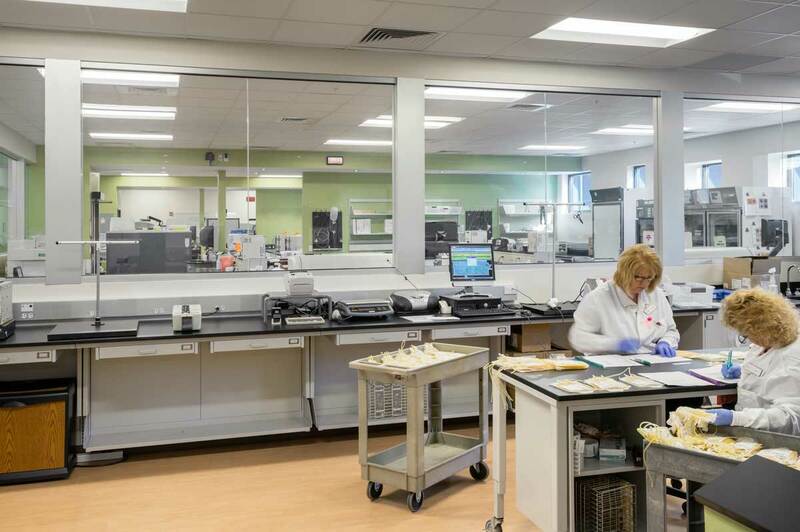 Similar to an assembly line, there is a complex procedure where blood product is brought into the building, tested, processed, stored, then distributed to local hospitals. 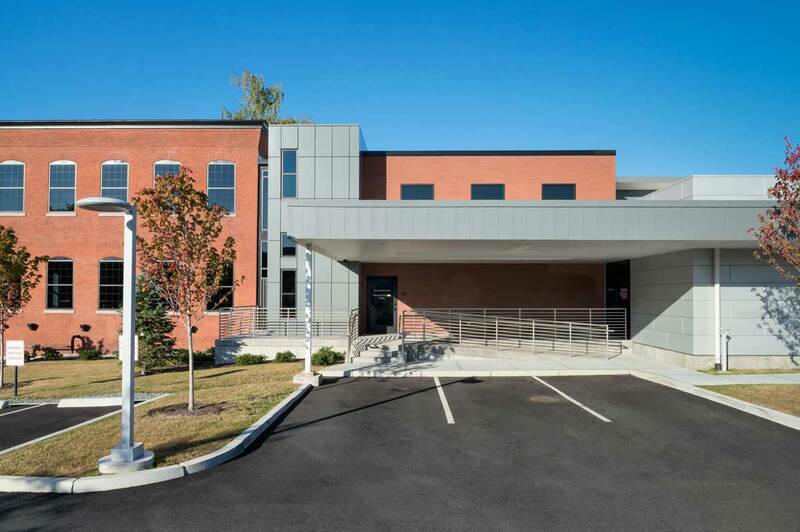 The facility is a full-service regional blood center, providing testing, collections, marrow and cord blood programs, as well as in-hospital patient programs. 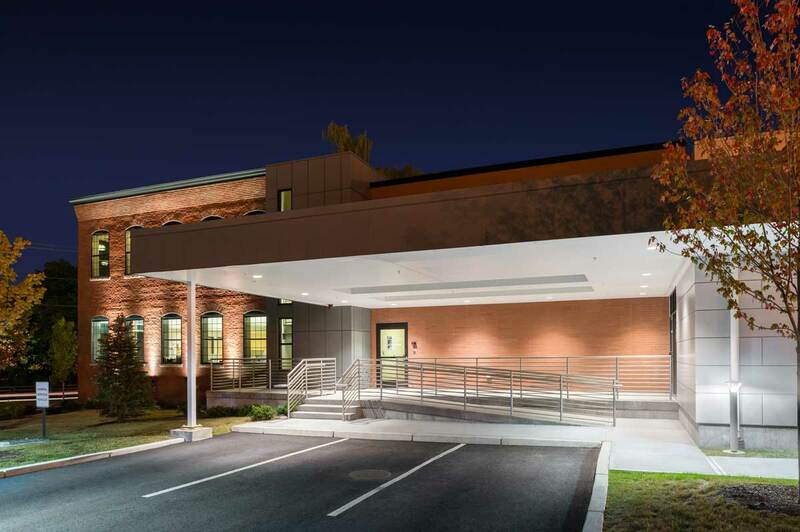 The building is designed to meet National Grid’s Advanced Building’s Program. 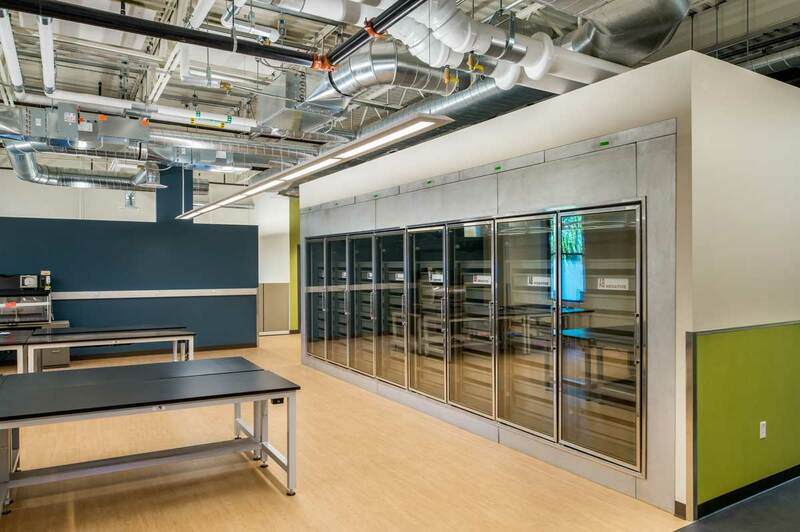 A key feature of the design is the clerestory which allows natural light into all habitable spaces of the building.